This mobile-accessible web database can help agricultural professionals, ranchers, and others on the Navajo Nation identify typical range plants, to help maximize rangeland ecology, productivity, and sustainability. Plants are identified by Navajo name (written and spoken) and are searchable by plant type, common name, scientific name, flower color, habitat, growing season, or special concerns. The technical team is presently incorporating final updates to this data, based on ongoing feedback from range specialists and Navajo Nation advisors. A downloadable version of the same information is under development, which will enable offline use in the form of a printable or viewable PDF. Navajo rangeland managers, coordinated by Gerald Moore, Coordinating Extension Agent of Navajo Tri-State Federally Recognized Tribal Extension Program, were involved in project development, and provided feedback on prototypes development in conjunction with NMSU scientists and the development team. 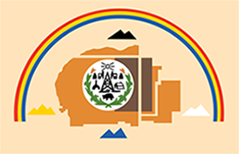 Navajo agency professionals (including from Diné College, BIA, NRCS, Navajo Department of Agriculture, and Navajo Soil and Water Conservation District), have been involved throughout the process to ensure information is effective for target audiences. 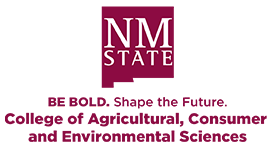 Multimedia technology was produced by New Mexico State University Innovative Media Research and Extension. Grey Farrell, U of Az Extension, Tuba City, AZ. Support for this project was provided by the Western Sustainable Agriculture Research and Education (WSARE) program through the National Institute of Food and Agriculture (NIFA), United States Department of Agriculture (USDA). Project Director was Gerald "Jerry" Hawkes of New Mexico State University Department of Extension Animal Sciences and Natural Resources. Gerald Moore, Coordinating Extension Agent of Navajo Tri-State Federally Recognized Tribal Extension Program, had the initial vision for this project and led it in every stage. Copyright 2018 New Mexico State University. Partially funded by the Western Sustainable Agriculture Research and Education Program (westernsare.org; 435.797.2257), project EW15-023. 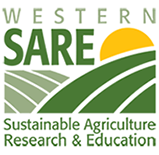 Programs and projects supported by Western SARE are equally open to all people. NMSU is an equal opportunity/affirmative action educator and employer.